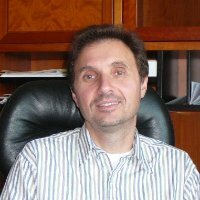 Leon Shirman earned his Ph.D. in Applied Mathematics from the University of California at Berkeley in 1990. He turned his attention to investing in 1987, after a market crash that year. In 2011, Leon earned his Chartered Financial Analyst (CFA) designation. Over the years, Leon formulated his long-term investment philosophy that is summarized in his book, “42 Rules for Sensible Investing”, also available from Amazon. This book provides concise, practical, and sensible down-to-earth discussion on various investing strategies. Prior to launching his investment career, Leon worked in prominent high-tech companies, such as Sun Microsystems and Microsoft, and in start-ups, including one he founded. His research has yielded a number of publications in scientific magazines, as well as numerous U.S. patents.